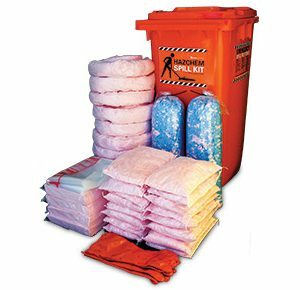 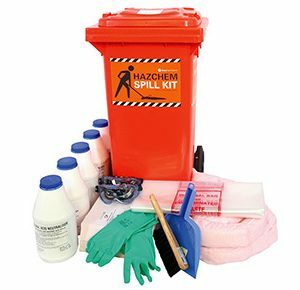 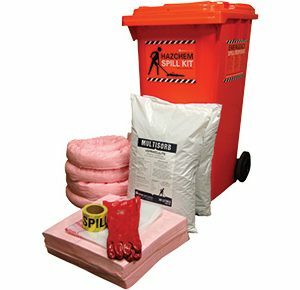 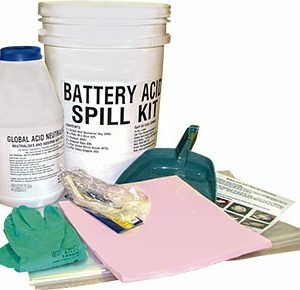 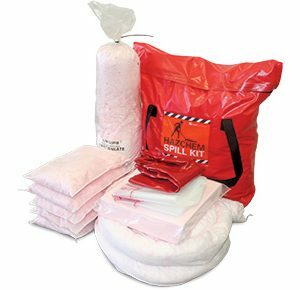 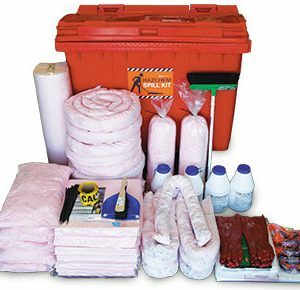 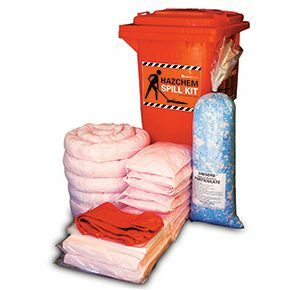 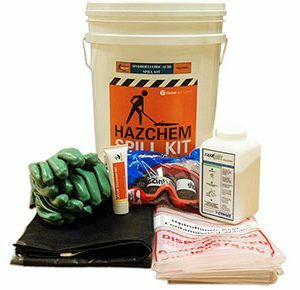 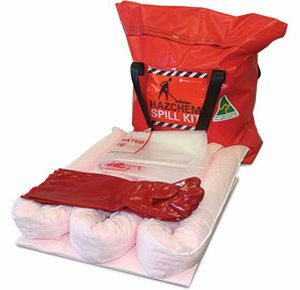 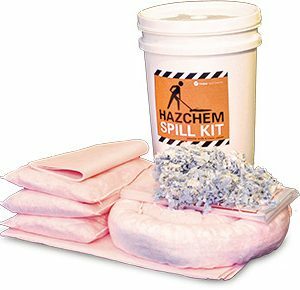 Hazchem spill kits contains a variety of polypropylene absorbents which are able to absorb up to 20 times their own weight in liquid. 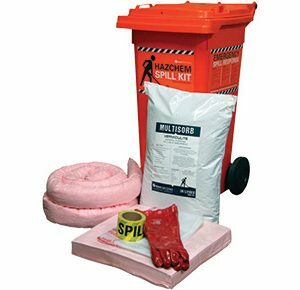 This surface-modified polypropylene is inert and dust-free and does not degrade or chemically react with absorbed liquids. 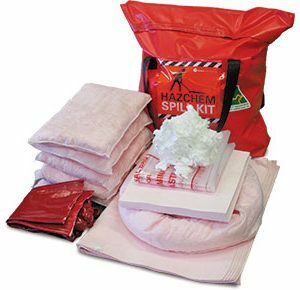 Chemical absorbents are colour-coded pink for easy identification.